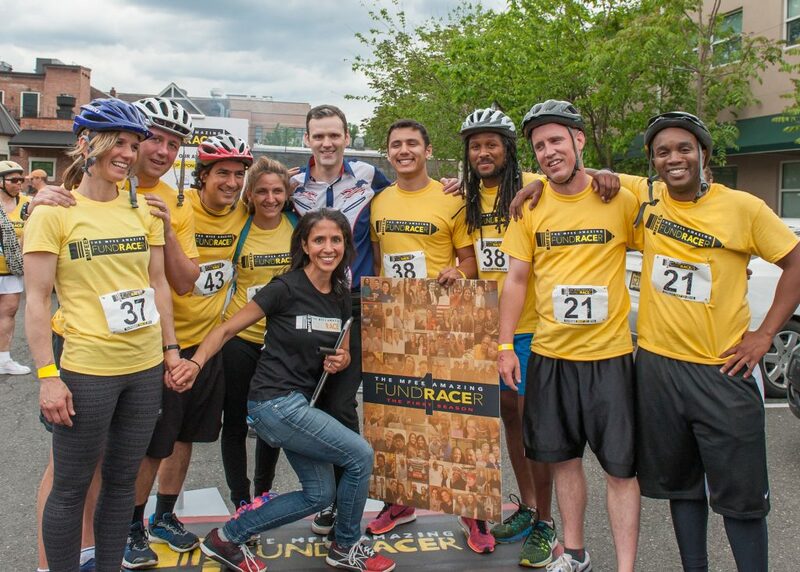 To celebrate its 25th anniversary, Montclair Fund for Educational Excellence (MFEE) held an Amazing Race style event that helped to raise money for Montclair Public Schools. MFEE is a Montclair organization that raises money to help students and programs within the Montclair school district. The event was organized by Masiel Rodriguez-Vars, along with help from many volunteers and local businesses. To enter, teams of two had to fundraise $400. This led to a lot of excitement and commitment to the cause of helping the town and education system. The race was based on the show The Amazing Race. Teams of two had to complete various challenges at different sites in Montclair. These locations included Woodman Field, Edgemont Park, Nails and Bodywork and the Montclair Public Library. The challenges were a mixture of athletic prowess and having a brave stomach, with some challenges requiring teams to use sporting equipment and coordination. Some challenges were a bit more unorthodox. Competitors that arrived at Woodman Field nearing the end of the race were told that the fastest way to complete the challenge was by having both partners eat a silk worm larvae. Teams got from place to place using bicycles, and had to use clues obtained from completing challenges to find out where they had to go next. The race turned out to be a huge success, with competitors and spectators enjoying themselves all the way along the course. While many competitors took part because they believed in the cause, some competitors went all out to win it. The duo that completed the race in first place was a coach/athlete combination of Toure Weaver, a soccer coach at Montclair High School, and Sebi Rodriguez-Vars, a former player of Weaver’s. While Weaver and Rodriguez-Vars completed the race quickly, they were not the only team to exceed expectations. Many of the teams completed the race at a much faster speed than anticipated, which left the volunteers and all those involved as out of breath as the competitors. Still, the organizers of the event handled everything professionally and creatively, implementing both fun and fairness into how competitors were treated. It created a perfect atmosphere of friendly competition. The goal of Rodriguez-Vars, the organizer of the event, was accomplished. “I kept planning and planning and planning, but all I really wanted was for everybody to have fun,” she said. The after-party was held graciously by Sharon Egan, the owner of Egan and Sons bar and restaurant in downtown Montclair. The party provided the competitors a chance to eat and relax after a long race, and also gave everyone an opportunity to feel good about the service that was done for Montclair Public Schools today. It was announced at the after party that the run had raised over $70,000. This is a huge boost to MFEE and Montclair Public Schools, and a testament to what a community can do with some confidence and cohesiveness. For a more detailed review of the event, please check out follow-up article featuring the winners, Soccer Studs!